Awesome Go: 1400+ Go Links, Libraries and Tools — A thorough list of Go resources in over 50 categories (think game development, ORMs, NLP, plugins for editors, etc.) that continues to be updated frequently. Hello, Tello - Hacking Drones With Go — The Tello is a quadcopter that you can control with the GoBot Go-powered robotics library. And who could possibly resist a FrontFlip() function? 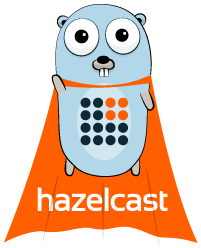 GO Ever Faster When Running Web Applications — Hazelcast IMDG provides server-side caching for Go apps allowing the sharing of large datasets with other apps and ensuring high-performance and reliability of your app. GO faster in the Cloud. Get started with this step by step guide. The vgo Proposal Has Been Marked as Accepted — Package versioning is officially coming to Go though “There was never any suspense about whether it would be accepted in some form.” The focus now is getting a preview of vgo included in Go 1.11. Notes On Structured Concurrency (or 'go' Statement Considered Harmful) — Heads up, strong opinions lie ahead with this interesting (and lengthy) comparison of the much maligned goto statement with goroutines and what the author thinks should replace goroutines. Gojay: A High Performance JSON Encoder/Decoder — Boasts it’s the fastest JSON encoder/decoder for Go, it handles structs, arrays, and slices, and can do stream decoding. It is a work-in-progress, however. Where Did 'golint' Go? — The golint package accidentally ‘disappeared’ for a bit this week. It’s all fixed now and things are in place to avoid a reoccurrence. Site Reliability / Operations Engineer (f/m) — With our unique distributed systems and a high uptime requirement, we offer an exciting technical environment to work in. Go Expert? Let Your Dream Job Find You — Top developers can get 5+ interview requests during their first week on Vettery. How to Migrate a Go API to Serverless in Under 10 Minutes — Specifically to AWS Lambda and API Gateway with AWS Severless Application Model (SAM). How to Write Better Unit Tests in Go Using Mocks — Touting the laurels of the Pegomock mocking framework. Processing Data with Clojure and Go — Comparisons of expressiveness and performance between the two languages. Good Code vs Bad Code in Go — Ambitiously titled, this post details how applying Go standards and good coding practices yields multiple benefits. MemConn: An In-Memory Network Stack for Go — Suited for writing tests and benchmarks. govalidator: Validate Go Request Data with Simple Rules — Inspired by Laravel’s request validation.